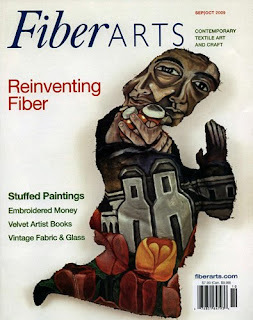 Many thanks to Marci Rae McDade, Editor of Fiberarts Magazine!!! 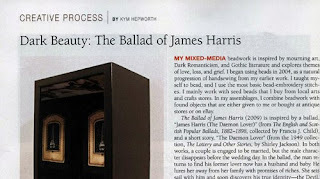 There is a Handmade Portraits web section in this issue with links to Etsy.com video profiles. I really enjoyed watching Handmade Portraits: Black-Eyed Suzie, an Etsy video profile about Sarah Faber's art dolls. If you'd like to see more of Sarah's work, here's a link to her Etsy shop, Black-Eyed Suzie. Thanks so much for the blog feature- I had no idea the video was featured in the magazine!